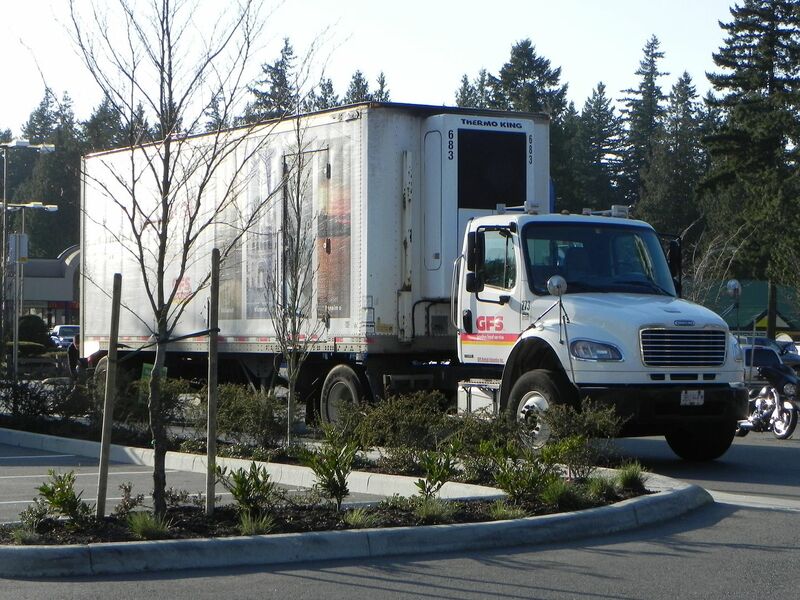 April 1, starting off with a local delivery unit, GFS making a delivery to Starbucks in Langley. 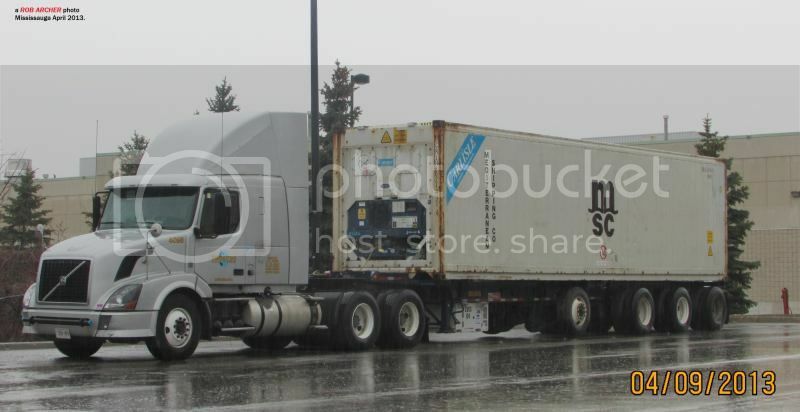 4-3-13 Univar USA day cab KW with tank trlr on I 605 north at Cerritos CA--the product is Hydrogen. 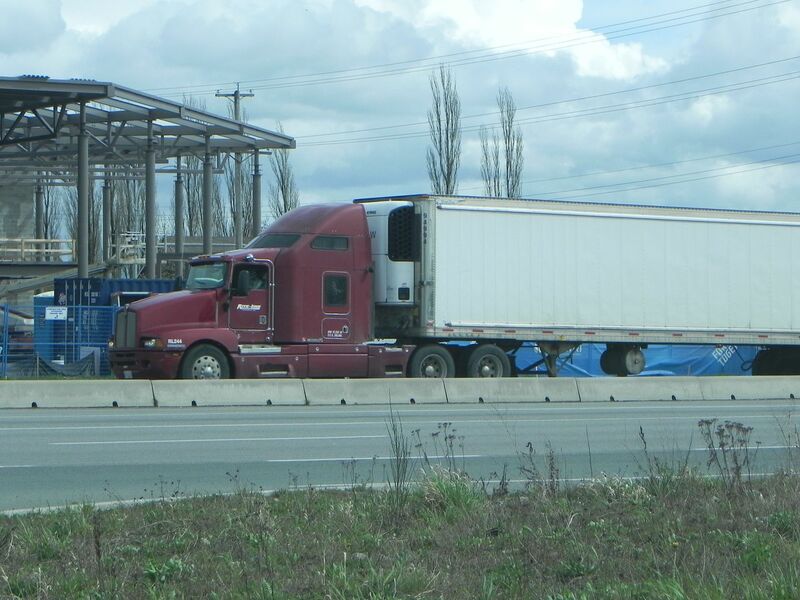 Nothing spectacular for Sat April 6; a partial KW T600B passes by and I didn't even capture the whole thing! Took this JP Nooman Pinnacle this morning. 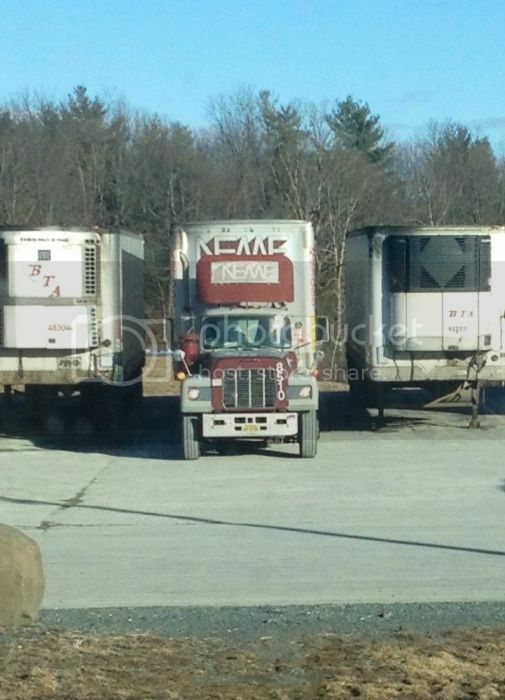 They are from West Bridgewater MA. 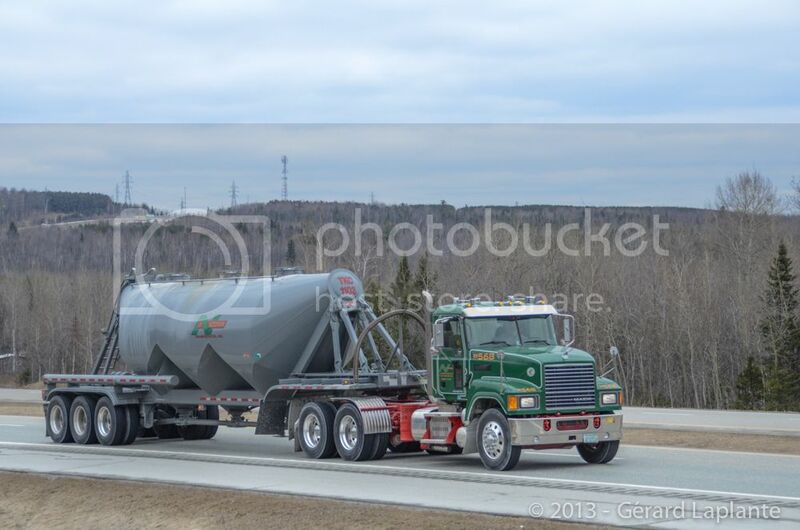 They haul bulk cement from Quebec Ciment plant situated West of Quebec City to New England. April showers hit Mississauga on Tuesday evening. This Musket Volvo was parked while the driver had supper. 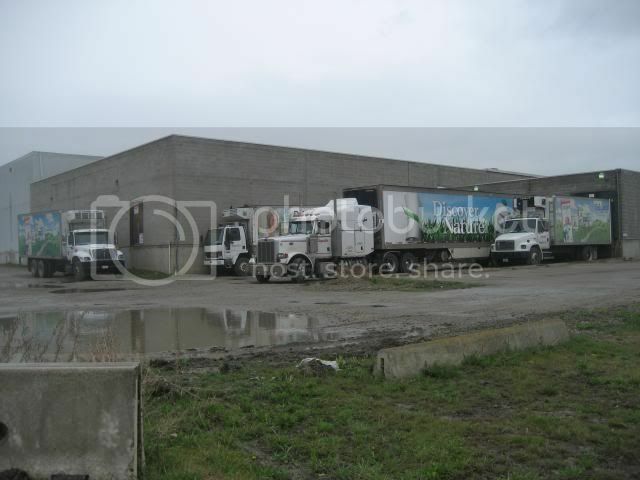 The Carlisle reefer container is leased to MSC.
. 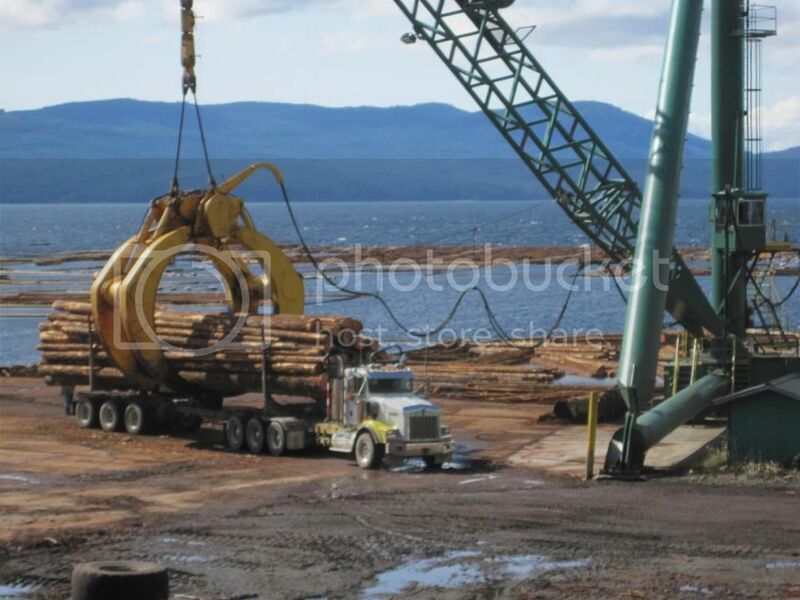 This is an awesome shot ,that log grapple is huge! Thanks, and ya it is a pretty big graple. 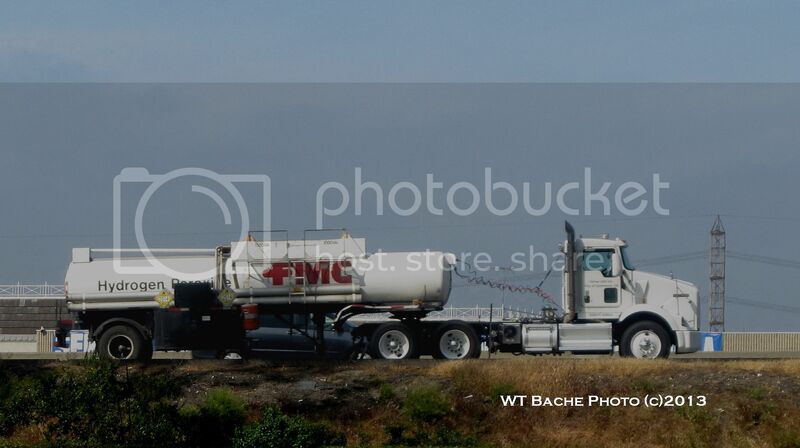 If theres ever a load that thing cant pick up it probably shouldnt be on the truck! 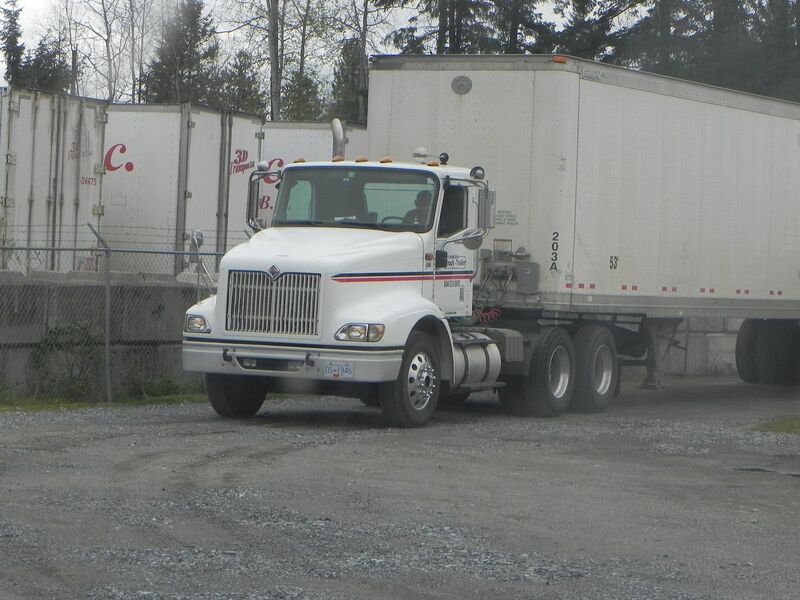 Friday April 12, a 9200i IH from Canadian Truck & Trailer is moving one of it's customer's trailers around, they have -obviously- a repair service and use this truck to take the units to their shop in Langley. 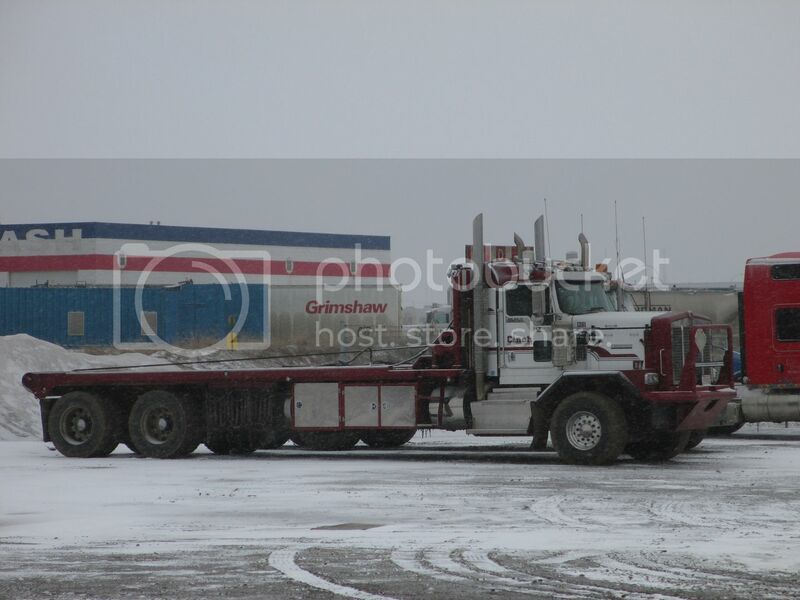 A Cinch bed truck parked at the Kenworth dealer on a snowy Saturday morning .